Hello there . 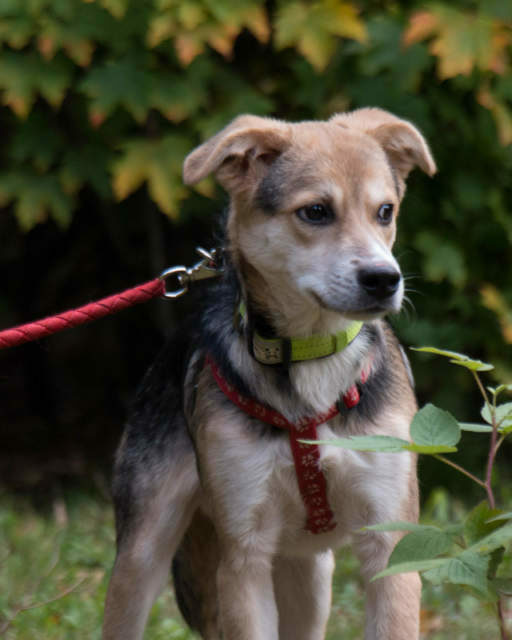 . . my name is Aster and I am a young pup – approximately 8-9 months old they tell me – and I’m looking for a family to call my own. I’m a happy fellow, love to run and play, like the company of other dogs and humans and I am smart! I want to learn tricks like shake a paw and roll over – all I really need is a human to call my own to help with that. I am house-trained, and crate trained, so that will leave all sorts of time for learning the fun stuff!! I’m getting used to being walked on a leash, and if I do say so myself, rockin’ that, but practice makes perfect. If you think that you might have a place for me in your heart, and your home, and maybe on your couch, please complete the adoption application. Once the good people here in rescue receive and review that app, they will be in touch to set up a meet and greet with my fine self. Aster’s adoption fee is $500. and includes his neuter, up to date vaccinations and micro-chip. Note that he is going for his neuter 17 October, so will be ready for meet and greets 20 October.